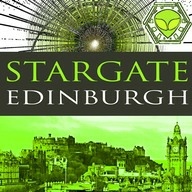 Stargate Edinburgh Tours © Andrew Hennessey. 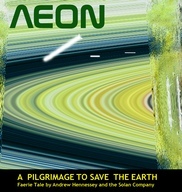 AEON a space opera faerie tale in music prose and song is the story of 21st century Earth that cannot sustain its output to meet the needs of a dark galactic empire … with its quota coming up short .. the Earth council send two pilgrims to find the Grail Knights … it is rumoured that only they have the technology that could help. There is no reason not to believe that the mythical eternal conflict between polar opposites does not extend into the stars. Black Empires, white knights, love oppression, anger and betrayal, are all part of the simple and often unethical process of control of life-sustaining energies that is often associated with (at least) human civilisation. 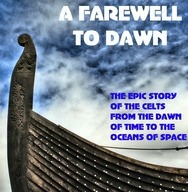 A Farewell to Dawn by the Solan Players is the epic story of the human race in its westward migration from the dawn of antiquity to the stars and beyond. A shepherd boy asks the forests hermit ‘whose father am I ?’ and the story of his destiny then unfolds in the magic cauldron of the seer. Bronze Age, Dark Ages, Middle Ages, The Empires of the 19th and 20th Century … the story of mankind unfolds in original music, verse and song. Sara and Don on narration and a musical ensemble including; singer songwriter John Dignan, Manfred Malzahn on bouzouki, ishbel Maltman on clarsach, Stuart Farrar on whistles, Andrew Hennessey storywriter and songwriter, on fiddle and bodhran. 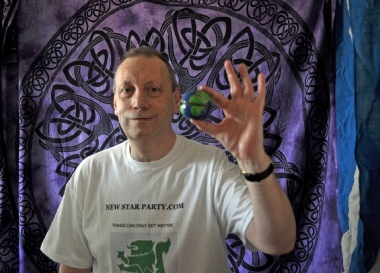 This CD is the results of decades of research into the belief systems of the various secret societies and illumined individuals who preserve the traditions of curious stories, assumptions and beliefs that surround both Edinburgh and Scotland in a cloak of truth, half-truth and fable. It’s sold as is though with no warranty that it could have one shred of factual content ! You will have to make up your own minds on this .………..
Templar Mysteries, a 2000 year old secret, thousands of UFO sightings, underground bases and cities, a link to Arthur and Atlantis, abductions and interstellar contact, the fallen angels and the local bloodlines and a conspiracy to bury truth that spans the centuries. Rosslyn and Romans and the illuminati secrets of Scotland’s capital. Research and script by Andrew Hennessey, narrated by Margot Daru-Elliott with music by Joe Lynch and Andrew Hennessey and the piping of Callum Macleod. 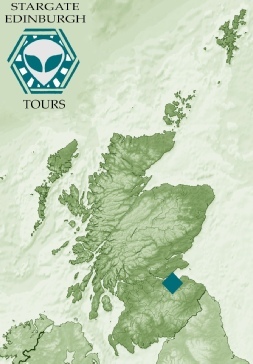 "Within a 30 mile radius of Edinburgh, some of the most incredible things in this World are taking place - discover the links to the ancient past - what is the mystery of Stargate Edinburgh ?."